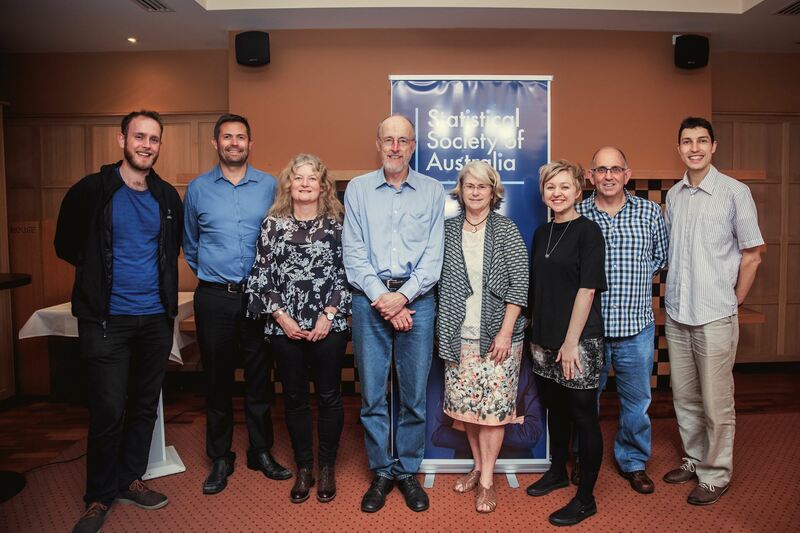 The Victorian Branch of the Statistical Society of Australia (SSA Vic) is an umbrella group for all statisticians practising in Victoria and Tasmania, and for all non-statisticians with an interest in the field of statistics. The monthly meetings are held from March to November each year, usually on the fourth Tuesday of the month. A local, interstate or international speaker addresses the meeting on a topic of general interest to statisticians. The Annual General Meeting is held in March. The premier meeting is the Belz Lecture in October or November each year. The Vic Branch announces its branch meetings and events on Meetup as well as the Events page. If you are not a member and wish to add your name to the list, contact Geoff Adams, g.adams@unimelb.edu.au. We wish to congratulate Dr Alison Harcourt on being named Victoria’s 2019 Senior Australian of the Year and obtaining and honorary Doctor of Science from the University of Melbourne. Alison is one of our branch's longest serving members. Read more about her, and see her featured on the ABC 7.30 program, here. August 2018: Joint International Society for Clinical Biostatistics and Australian Statistical Conference, Melbourne. August 2018: Payment for refreshments at Early Career Event at Joint International Society for Clinical Biostatistics and Australian Statistical Conference, Melbourne. The Branch Council organises workshops on topics of interest to local statisticians. Details of current workshops can be found under Events. The Belz Lecture commenced in 1969 when Clem Pratt was the Victorian Branch President of the Statistical Society of Australia. It has become the premier event of the Victorian Branch calendar and is followed by the annual Belz dinner. For more information and a list of previous Belz Lecturers, see the main Belz Lecture page. The Branch Constitution can be found here. A copy of Branch Regulations can be found here.